Celebrating the Life and Legacy of Martin Luther King, Jr.
Every year the University of Evansville celebrates Martin Luther King Jr. Day with a day-long series of events. This year the celebration started at noon with a re-enactment of the 1963 Civil Rights March in Washington, D.C. The symbolic march was followed by students and community members handing out care bags to area foster children. All the events honor Dr. King’s legacy and encourage participants to reflect on how they can make a difference in their community and their world. 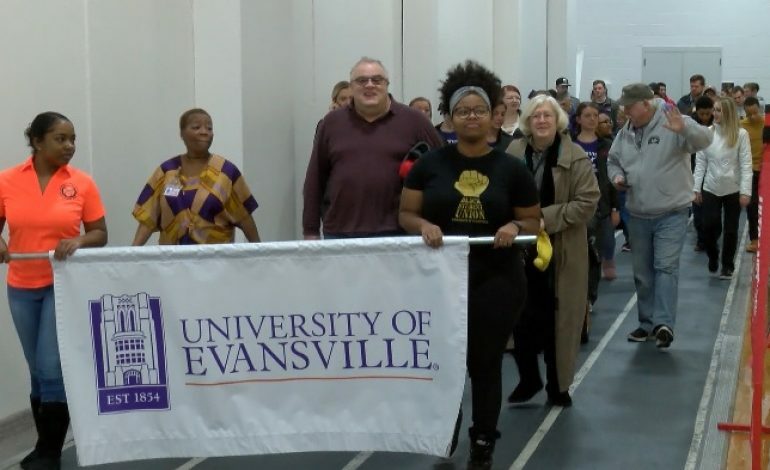 This year’s theme for UE’s MLK Day was a Labor of Love.